Verbat is a digital technology company which expertises in digital commerce, mobile computing, data insights and cloud solutions. We service enterprises across the financial services like Manufacturing, retail, travel, media and technology industries. The company helps businesses, to increase market share and drive differences through an enhanced user experience. 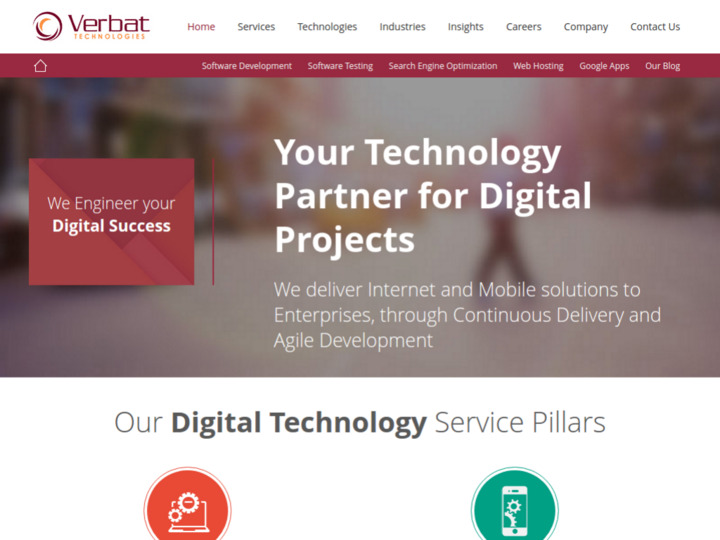 Verbat is headquartered in India with global representation through offices in US, UK and Middle East. Verbat has grown significantly from the time I joined. Verbat has an open culture, a great work environment, and offers a sense of belonging to employees, which is conducive to future growth. It is wonderful working at Verbat. Our superiors kept me on track of my performance which helped me to improve and put in a consistent performance. Improved in communication through mail and verbally. What I like most about my job is that I’m constantly learning new applications and new technologies. Also, Verbat allows me to experience new things pretty much everyday and this is not something all companies can give their employees that often. The positive atmosphere at Verbat was noticeable at all levels. People smiled; people were helpful; people were upbeat; people were genuine. Other companies talked the talk, but the body language said something entirely different. The one thing that impressed me most about Verbat during the interview process was the attitude of the people conducting the interview. I got a sense of company loyalty from them mixed with bona fide job satisfaction. Growth is the primary goal I have for my own career. I like to keep learning until I conquer something. I don’t like routine – I want to always look forward and plan for bigger things. At Verbat, I have a career path that entails learning something completely different! Am very proud to be a part of Verbat. Thank you all. Verbat is an organization that teaches you to think positive! Tell yourself that you can change and you can do the things you desire! Learn to self program success! It is wonderful! I just want to say that I am proud to be a part of Team Verbat. I love Verbat because we help our clients achieve their missions. We work with a variety of really interesting associations and we work with them to make their particular niche in this world better. Our product helps them do that and it’s really cool to be a part of that. It’s been an year that I have been working in Verbat and it has proved to be a good experience for me. I have been able to develop myself both ‘personally and professionally’. Verbat is a nice place to work with colleagues and Leaders always ready to provide their support. I was unsure of what i want to be or where to be? Well, that was me when I graduated and started looking for a job. I knew I wanted a challenge, something that would provide an ample amount of opportunities to grow, and endless possibilities to learn as much as I can. Joining verbat has been all that and more. Not only am I surrounded by brilliant, friendly, and talented people, but there are so many opportunities for me to develop. I joined Verbat as UI Designer and now am satisfied, happy and looking forward for my great career ahead. I would describe Verbat as a challenging place to work, with both a great team and atmosphere. The one thing I like most about my job, is that, in the two and a half years I’ve been here, things are always changing in order to keep up with the demands of today’s technology; it keeps things fresh, exciting, and challenging. Probably the most open work culture in the industry, which allows you to share your ideas to contribute in the growth of the organization. It’s a great feeling to be part of Verbat. I’ve enjoyed working towards targets both individually and as part of a team to help achieve my customer's goals and objectives. As Team Leader I love the daily interaction with the many different people and I have built some great professional relationships within the workplace. Coming to work everyday has been easy and enjoyable because it's not like coming to work it's like coming to see your extended family. My main motivation for joining Verbat centered around the incredible growth potential for both myself and the company. I am faced with exciting new challenges every day, and my Leadership team provides me with the information and support to overcome any roadblocks. In my position, I have the chance to think outside the box and identify new solutions while continuing to learn and grow in my role. I have worked for Verbat for 6 years now, and the time simply flies by as we tackle new and interesting challenges each day. I enjoy the strong bond between team members and the willingness of senior people to work with new employees in a supportive manner. People are genuinely interested in helping their co-workers learn, and actually sharing their knowledge, which i havent seen in any other s/w company. I honestly cannot remember a day going by where I did not learn something new. Throughout my eight years with Verbat, I have been given the opportunity to nurture my professional career development by finding a role in the company that suits my interests and abilities. My transition from Software Engineer to Project Manager has given me a new set of exciting responsibilities and challenges which inspire me to develop and learn new skills and abilities. I am proud to be a part of the Verbat global family and appreciate the opportunity to realize my full potential cooperative and encouraging working culture. The company's senior leaders have truly internalized the goals and objectives they have laid out for their folks. People feel appreciated and are recognized for their dedication and hard work. There is certainly a rare energy from the top down that is contagious and a synergy that crosses the company laterally. I think that it is the genuine satisfaction with company and staff. I have not found it necessary to entertain other offers that have been made. Verbat's positive family/professional atmosphere does not go unnoticed. I began working at Verbat in 1997. At the time, I was one of only four permanent employees hired from my college. 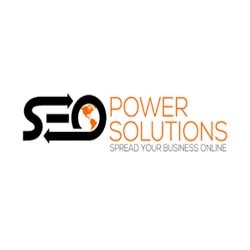 We began with few websites, and a small family of technicians. As a group, we constantly improved the technology, grew in numbers and competed in the region year after year. It is amazing to see the results of that evolution. We have come a long way.Even as part of a larger global network, our close team dynamics have remained. I can speak from my experiences as an offshore supervisor and technician. Whether we were working in the Middle East region or further afield, with seniors team members or new guys, we ended up a tight-knit group. We traveled, worked and lived together. Challenges and accomplishments were shared, and those close working relationships seemed vital to the company’s success. Our experience in the offshore work environment produced long lasting friendships and core values which we bring with us as the company grows. Verbat management has a great ability to tap the potential in its employees and put them in a place where they can succeed. One of the good things about Verbat is its open and free culture. The Senior Management is approachable and receptive to new ideas. You have an opportunity to grow by your own efforts. This gives you an immense opportunity to exercise your abilities, reaffirm yourself and contribute to a growing company. It is my privilege to work in a group of very talented, motivated individuals who are ready to lend advice, share knowledge, and help me perform my best. It's been a delightful experience for me at Verbat. Great work culture and supportive colleagues. Verbat lets the employees grow along with it.